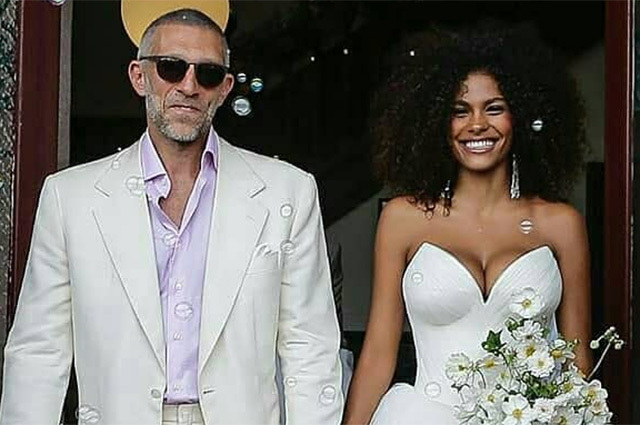 It's official: 51-year-old actor Vincent Cassel married 21-year-old model Tina Kunakey! Registration of the marriage took place in the municipality of the small town in southwest France, near Biarritz, where lovers have a house. 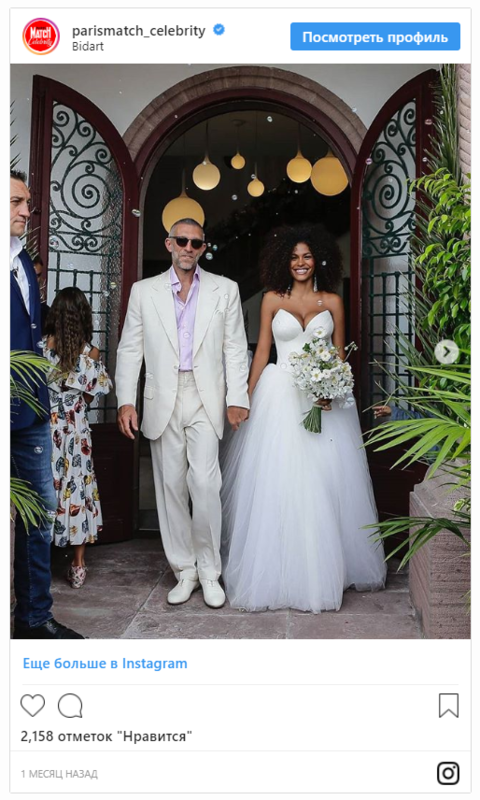 Photos of the newlyweds have already appeared on the web: Vincent and Tina look very happy and in love. For the wedding, the bride chose a long dress with a lush skirt and a corset with a spectacular bodice (attention to the neckline!). Loose hair, a broad smile, a frivolous bouquet and large decorations - Tina looked dazzling! On the eve of the wedding, Kunakey celebrated a hen party - there she also shone in a white dress, however, short and playful. 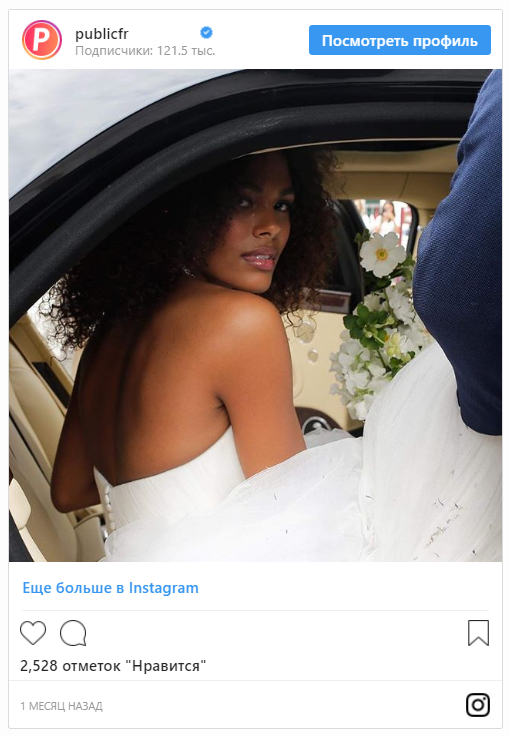 There are not many details about the wedding yet, but there is already a picture of Tina with a caption: "Yes." The rumors that the couple had decided to get married had been circulating for a long time, and the other day, shortly before the wedding, Vincent and Tina confirmed them in a big joint interview, which on the eve of the important event they gave to the Italian edition of the Vanity Fair. The couple made it clear: together they are serious and for a long time. A 30-year-old age difference does not bother them at all. "I did not know how old Tina was when I met her. And when I found out, I was a bit surprised" - Says Cassel. 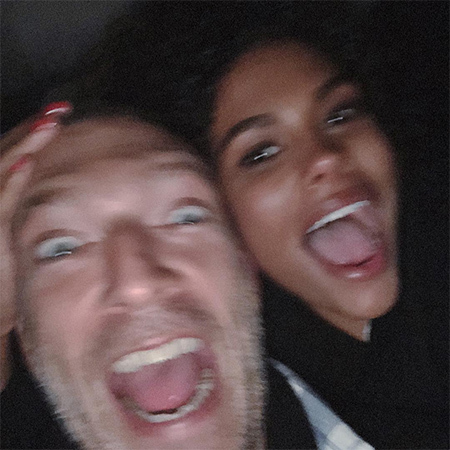 Recall that before the wedding, Vincent Cassel and Tina Kunakey had been dating for three years: they met when the girl was barely 18 years old. After 4 years ago, Vincent Cassel divorced Monica Bellucci, no one believed that he would get married again. Because it's hard to find even more beautiful woman in the world, and secondly, the French actor is still a ladies' man. Most likely, the newlyweds were confused by the traces of paparazzi. But today the former Bellucci's husband shared a photo with his chosen one with a caption: "Yes." Moreover, the newlyweds plan children in the near future. "We decided to get married before we get a new addition. Paternity is the most incredible state on the planet that you can experience, "said Vincent Cassel. But Tina admitted that for her the marriage proposal was a surprise. "When he asked me a question about whether I wanted to become his wife, I was taken by surprise. I did not expect this, "Tina confessed. By the way, in the same interview, Vincent honestly admitted that when he met Kunakey in Ibiza did not know anything about her young age. The girl then was only 18 years old.